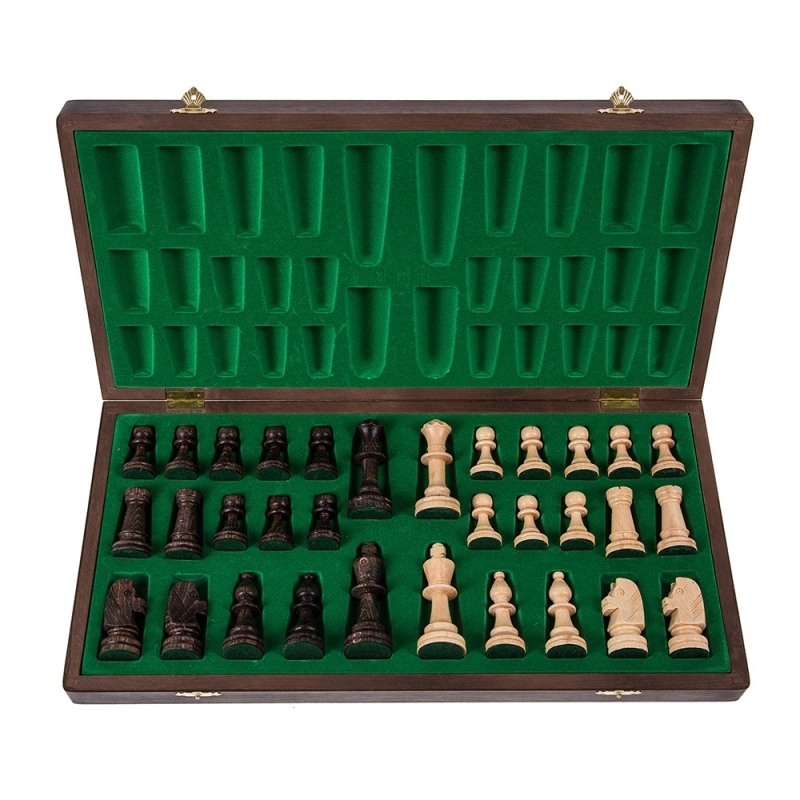 This Tournament wooden chess set is made from oak and ash wood and is perfectly finished by hands ( Inlay). Dark squares are carefully prepared to a beautiful oak colour. 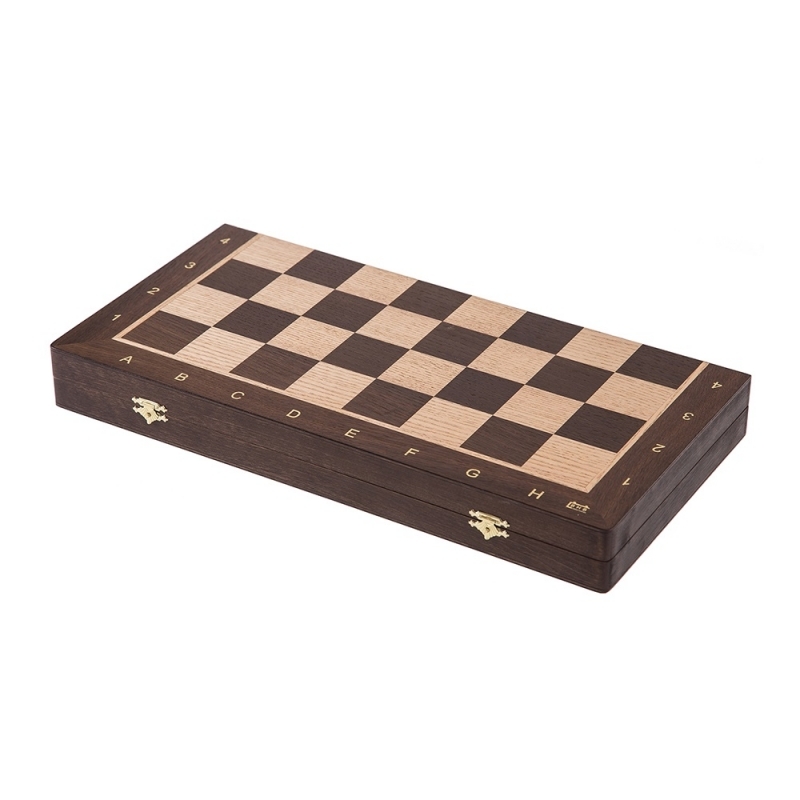 Lighter squares are left as pale natural ash wood and are lacquered with perfect finish. 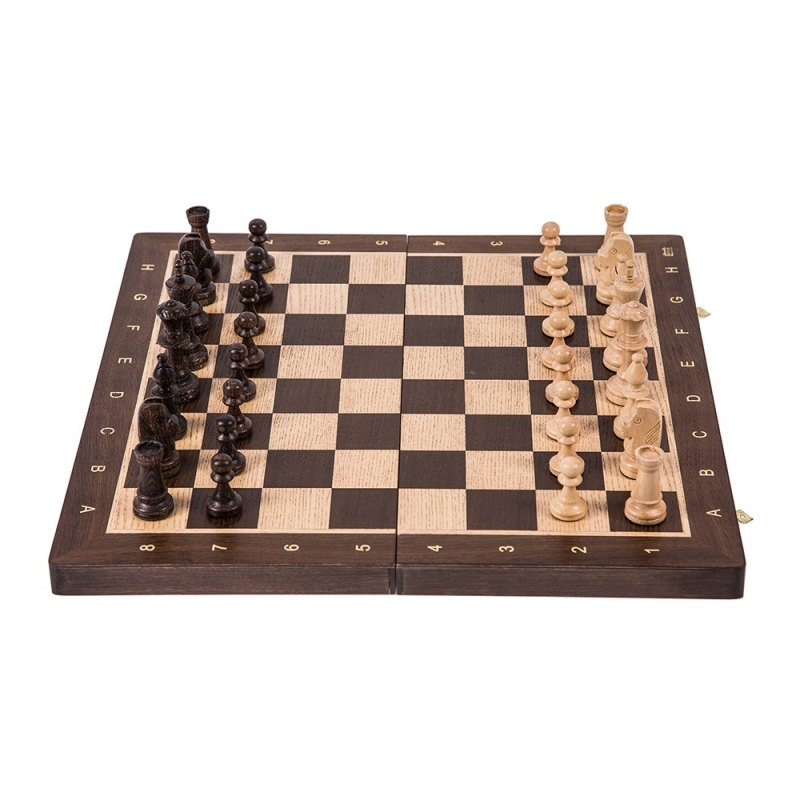 Playing pieces are made from sycamone wood which are carved and finished by hand. Inside the box there is a molded insert with places to hold each individual piece. 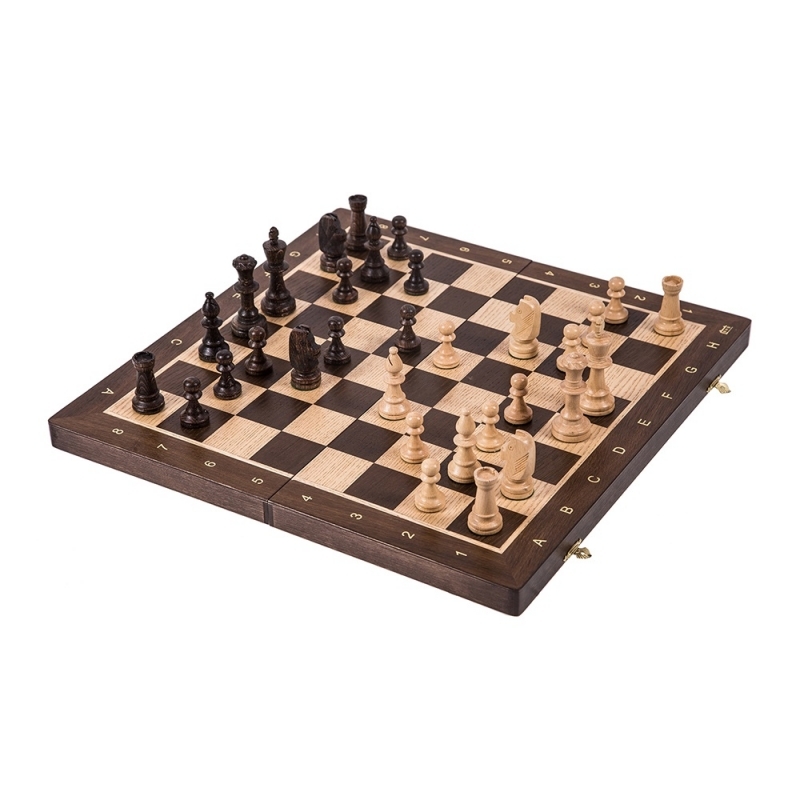 Chess meet standards of Tournaments.